DMRC chief Mangu Singh and the CM had a “one-on-one meeting behind closed doors,” a government official said, while refusing to comment on what transpired in the meeting. 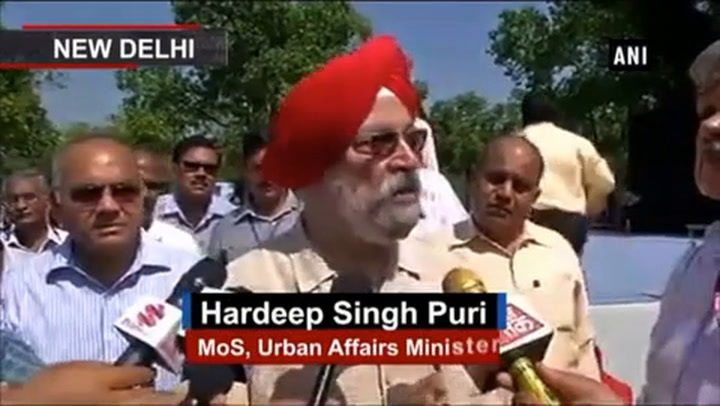 Replying to Minister of State for Housing and Urban Affairs Hardeep Singh Puri’s contention that the Delhi government needs to pay Rs 3,000 crore annually for five years if it wanted to stop the Metro fare hike, scheduled for October 10, Chief Minister Arvind Kejriwal said the government would pay Rs 1,500 crore — as long as the Centre pays the rest. Meanwhile, on Sunday, DMRC chief Mangu Singh and the CM had a “one-on-one meeting behind closed doors,” a government official said, while refusing to comment on what transpired in the meeting. DMRC also refused to comment. The DMRC is set to implement its second fare revision in eight years on Tuesday, which Kejriwal has deemed “anti-people”. “From the recent development, it is becoming evident that the relationship is not one of equal partners, since what the Delhi government proposes is often summarily disposed by the Centre. If the Centre agrees, the Delhi government would be willing to take over DMRC. We are confident that we will able to fund DMRC by improving its efficiency rather than effecting steep fare hikes,” Kejriwal said. Puri had maintained that the Centre did not have the authority to suspend the hike — something that Kejriwal disagreed with. The argument that DMRC was bound by the FFC recommendations was “untenable”, said Kejriwal, as “DMRC sat over these recommendations for eight months”. “If they can choose to postpone the first tariff hike by eight months at their own level, I see no wrong in our proposal to postpone the second hike,” he said. Delhi Metro’s minimum fare was hiked from Rs 8 to Rs 10 and the maximum from Rs 30 to Rs 50 in May. If the fares are raised on October 10, those travelling more than 2 km will pay Rs 5-10 more. A day after Urban Affairs minister Hardeep Singh Puri blamed the Delhi government for the 15-month delay in completion of Metro Phase III, and Phase IV running behind schedule, the Delhi BJP said it would raise the issue in the Assembly on Monday.